A smartphone app designed to give early warning of earthquakes could be ready as early as next year, according to scientists at the World Science Forum in Rio de Janeiro. Researchers from the University of California showed off the project this week at a conference on how to use technology to ward off natural disasters. The app is based on technology used in an early warning system prepared by a team under Professor Richard Allen, director of the UC Berkeley Seismological Laboratory. California has already embraced the concept of an early warning network, with Governor Jerry Brown signing a bill in September mandating the creation of a system. The smartphone app is capable of providing an alert between a few seconds and one minute before a tremor hits, depending on where an individual using it is in relation to the epicenter. To do this, the app captures initial energy from the tremor, the so-called P wave or primary wave, which rarely itself causes damage. The technology uses algorithms to detect rapidly when a quake is starting and determine its strength and location and when it is likely to reach its zenith and alert residents in potentially affected areas. The algorithms use data from regional networks monitoring seismic networks. 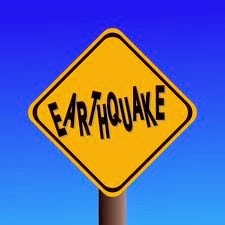 In the case of cell phones, those located at the actual epicenter of the quake will not receive the early warning. But the tremors detected by the system will be transmitted in a chain to other receivers so that those a few kilometers (miles) away will be able to react to cloud-based data and glean more information on what is happening where and what is likely to happen next. "All we need is a telephone at the epicenter of the quake which detects it and sends the information (saying) 'I felt a jolt, I am in this place' to a server," explained Allen. "There are many phones simultaneously doing this to enable the server to determine the site and magnitude of the quake to send people further away a warning. These warnings include (information on) how much time to the start of the tremor and also its intensity." The warning gives people precious time to seek out a secure place of refuge and halt industrial activity or transport, thereby reducing risk to the public at large. The app uses various smartphone functions such as accelerometers and gyroscopes to determine movement, as well as GPS and Wi-Fi localization functions as well as a magnetometer to indicate direction. The software makes use of the fact that there are 16 million smartphones in California alone and about one billion globally that are ever more interconnected. The app will first be tested across a pool of several thousand users. Once it is fully rolled out it will be free via a coded access. The biennial World Science Forum, held over three days this week in Rio after moving for the first time outside Budapest since its 2003 launch, brings together scientists, educational institutions, non-governmental organizations and researchers to debate issues of science policy. The main theme of this year's event was "Science for Global Sustainable Development."